DRISCOLL BABCOCK presents Seeing and Seen: African American Art, 1840-1920, a carefully selected group exhibition of African American subjects and artists spanning the pre and post-Civil War decades. Seeing and Seen is curated in conjunction with the Gallery’s featured exhibition, Jérôme Lagarrigue: Visible Man, which centers around the albino African American male supermodel, Shaun Ross, and the representations of pigment, both in terms of medium and melanin. The two exhibitions in dialogue with one another call to mind the Sankofa, an ancient Akan symbol, or Adinkra, that verbally translates to “It is not wrong to go back to fetch what you forgot,” representing the importance of reflection for a successful future. 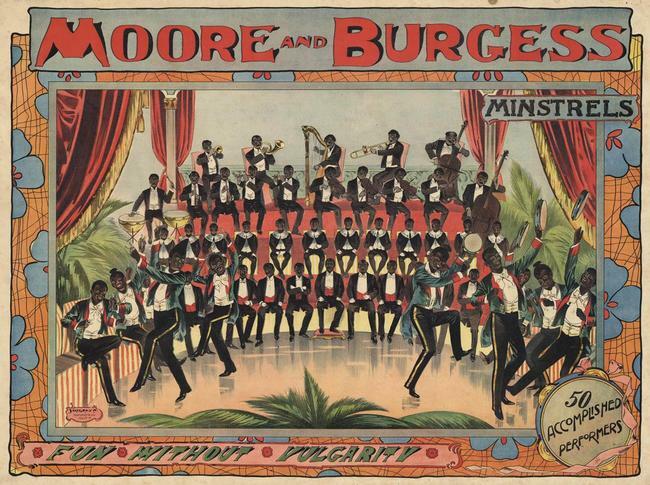 In this context, the Stafford & Co. MOORE AND BURGRESS MINSTRELS posters, c. 1880, currently on view, serve as reminders of the American art form that persisted well into the 1960s: White performers in blackface perform racist stereotypes for the amusement of a White audience. The arts here were used to continue the disempowerment of the Black community in order to perpetuate the colonial myth of inferiority and uncivility. Understanding this history leads to a higher understanding of the magnitude of Black artists’ successes in America during the late nineteenth century, when art forms, like the above, were so deeply imbedded in American culture. Patrick Reason, for example, is revered as one of the earliest African American engravers and lithographers, known for his depictions of slavery as abolitionist vehicles for protest. 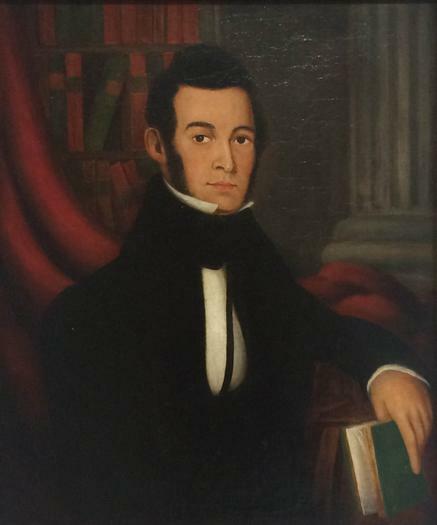 His PORTRAIT OF ISAIAH G. DE GRASSE is two-fold in its significance, not only for its technical refinement, but for its subject, Isaiah G. De Grasse, the first Black graduate of the University of Delaware in 1836, and vocal advocate for the education of the Black community since the age of 15. Sheldon Parsons, born one year after the end of the Civil War, achieved success from 1895 to 1912 as a successful portrait artist. After studying at the National Academy of Design with William Merritt Chase, Edgar Ward and Will Low, he went one to become one of the original founding members of the Santa Fe Art Colony and first Curator of the New Mexico Museum of Fine Arts in 1918. 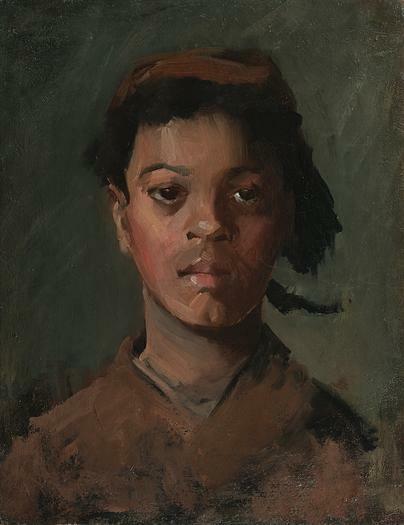 A White artist, Parsons’ poignant choice of subject in the early PORTRAIT OF AN ADOLESCENT, c. 1890, reflects his progressive sensibilities and fearlessness to apply his innate talents towards capturing the psychology of a young Black boy and the variations of the boy’s pigment through painterly brushwork. Jérôme Lagarrigue continues Reason’s and Parsons’ traditions of portraiture by extending the dialogue to albinism in the African American community. Though albinism, in Ross’ case, caught the attention of the Western fashion world, it is still very much the basis of deep persecution and stratification, particularly in East Africa, where the lack of melanin leads to superstitions and prejudices that range from reverence to death, nonetheless robbing those with albinism of their humanity. In these paintings, Ross is never quite in focus, perhaps exposed by his visibility as a public figure or by the projections of his audience: each with the potential to blur, gawk, revere, misunderstand his individuality. Within these reconciliations of Ross’ lived experience is Lagarrigue’s own explorations of his identity as the son of a White-French father and Black-American mother, doubling the canvases as both portraits of Ross, and self-portraits of the artist. Lagarrigue here makes visible what history has seen, with what he and Ross are seeing, in order to advance where race and art, and the fusion of the two, are going.